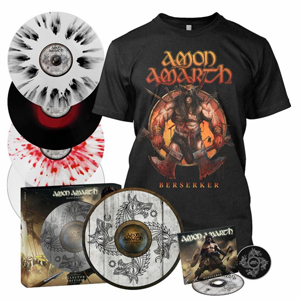 On May 3rd, AMON AMARTH will release their 11th full-length, Berserker, via Metal Blade Records (North America)/Sony Music (International)! For a preview of the album, the video for the first single, "Raven's Flight", can be viewed on KNAC.COM HERE. Directed by Roboshobo, "Raven's Flight" will be the first of a trilogy of music videos from Berserker, each one increasingly epic in its scope, further immersing the viewer in the world of AMON AMARTH. 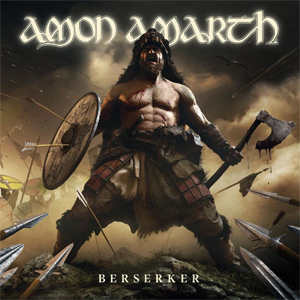 Much like the songs on Berserker, the videos present AMON AMARTH to its fullest. The cast features Josh Barnett as "the Berserker" (https://en.wikipedia.org/wiki/Josh_Barnett) and Erick Rowan as "Thor" (https://en.wikipedia.org/wiki/Erick_Rowan), among others. The cast for "Raven's Flight" also features Tess Kielhammer as "Demon Boss" (https://www.imdb.com/name/nm4178569/), Shanie Rusth as "Shield Maiden" (https://www.herexchange.net/her-story/2018/9/11/shanie-rusth), Erik Arevalo (https://www.instagram.com/theerikhammer/?hl=en), Victor Henry (https://www.sherdog.com/fighter/Victor-Henry-52195), and Canadian WWE legend Viktor as "Demon Henchman" (https://en.wikipedia.org/wiki/Viktor), and many more. "When Once Again We Can Set Our Sails"